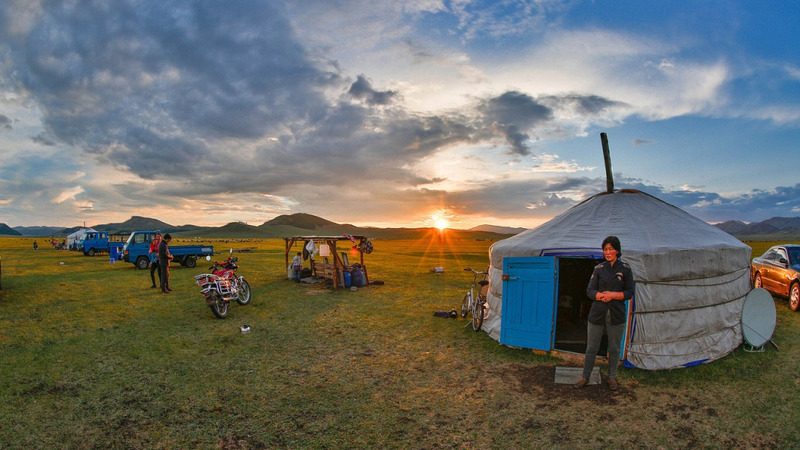 From its place as the beating heart of the seemingly boundless Grand Khanate of the fabled Genghis to its precarious position as a pawn in the Sino-Soviet relations of the Cold War, Mongolia’s geography and landscape have shaped its people, traditions and culture. Mongolian literature serves as an especially keen reflection of the harsh realities and valorous values of Mongolian life. Influenced by rich oral traditions, the literature of nation is studded with heroic epics and stark prose. Yet it is a literature that had not, until recently, been translated into English. That all changed when Rutgers University professor Simon Wickham-Smith, a former monk of the Tibetan Buddhist tradition, fell in love with the country, its people and their literature. Wickham-Smith, a Rutgers Writing Program instructor and professor in the the Department of Asian Languages and Cultures, is the first scholar to translate a Mongolian work, poet Tseveendorjin Oidov’s book The End of the Dark Era, into English. The work is earning high praise among the cognoscenti of Asian literature and has even been shortlisted for one of the highest national awards for translated works, the National Translation Awards for Poetry and Prose. For his work in expanding awareness of Mongolian literature, Wickham-Smith was awarded the Order of the Polar Star by Mongolia’s then-President Tsakhia Elbegdorj. The award is the highest honor that the nation gives to foreign civilians, and has previously been awarded to diplomats, statesmen and spiritual leaders. Going forward, Wickham-Smith plans to continue his exploration and translation of Mongolian writing with a particular emphasis on both contemporary works that explore the changing way of life in the country as well as the work of the writers of the 1920’s and 30’s during the rise of communism.